I read about the the woman at the well, who after encountering Jesus “left her water jar beside the well and ran back to the village, telling everyone, ‘Come and see the man who told me everything I ever did! Could He possibly be the Messiah? So the people came streaming from the village to see Him” (John 4:28-30). I read about the disciples, who were constantly “amazed” and “astonished” at the words and miracles of Jesus (Matthew 8:27, 19:25). 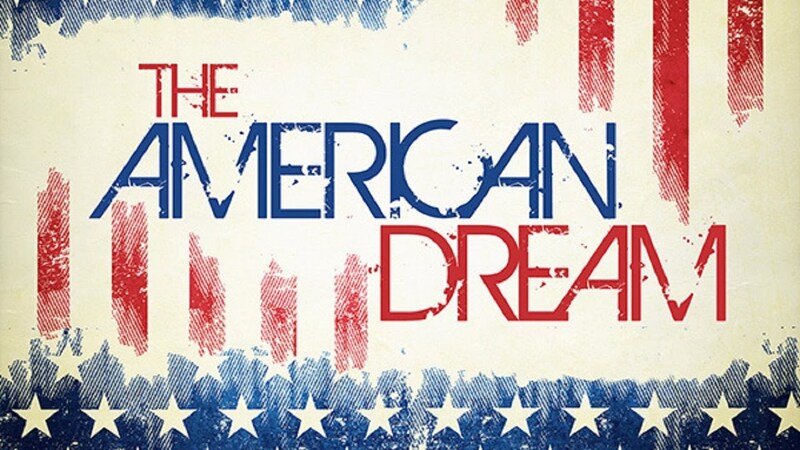 To be honest…the American dream often feels like it is a long way away; however, when I learn more about other countries and how others live; I realize that my “dream” may have been a little high for me…and I am still living among the richest 2% even though I don’t own my own home and have bills to rival the national debt. There is a little lady I will call “L” who calls me in my business at “The Wipe” to ask questions or give information about her orders. I just love her voice. When I hear it I am immediately in my “happy zone.” “Hellooooo” she drawls in her northern sultry deep voice….and I immediately know it is my friend. Now, I have never met “L” other than on the phone, but even in her most frustrated, stressed times…we connect. I find it odd that I connect with someone several states away more than I do with those around me. Maybe it is the anonymity that helps us get beyond whatever is going on around us to have 2-3 minutes of friendship. I think it is a Godsend though…because that one “happy zone” will sometimes get me through 2-3 days of an extremely stressful job. Thanks, “L”, for taking me out of “The Wipe” even for just a little…to connect with a “friend” whom I’ve never met. My prayer tonight has been to find a reason to live beyond my children, my grandchildren, my husband and ministry. To understand this you have to know that I have always wanted to be a mom and homemaker. I never desired a job really that put me out in the workplace. Yes…here I am. I took myself off facebook today because I look sometimes a hundred times a day to see what my children are doing…to hear what my grandchildren are doing and saying. That’s not healthy. I had unrealistic expectations that in these golden years we would be full…full of Sunday dinners, full of children, full of love and connection and friendship and need of us…of me. There is none of that. So now I need to find my new peace state where I am happy with myself and with my life. I need to find my reason for living. At first I thought…well, Allen and I have been together 40 years – 37 years married – so it should be him. But…what if he goes first? My reason would have just left the earth. I have to be okay with me. I have to put into my soul. I have always been the one to put into others, to call and set a time to get together, to text and message. One of my greatest disappointments in life has been that people don’t seem to like me. I am not sure what I do or don’t do…but I will never be the one in that group of women laughing and having dinner with and shopping with other women. I have to be okay with that. I need to continue to be here for others, but I also have to take care of myself. I’m not sure what that even looks like because taking care of myself was always in taking care of others. But now I’m empty. My soul is pretty dark and shriveled up right now. Life looks dark and uninviting. I miss my kids. I love them so much and they will never know the depths of my grief over them until we get to Heaven. So these are my thoughts tonight. I am not sure where this journey will take me. But I know I have to take it to survive. My dark night of the soul has been so long…I never struggled really knowing my place in college or beyond…it was mapped out for me. But now the map is meandering and not defined. I can’t tell you where I’d be if I didn’t know Jesus. He is the foundation and the only reason I have stayed this long. I hope I please Him even now as I struggle and wish things were different. Merry Christmas and a Happy New Year! This past year has certainly been an eventful one. Like any year it has had its high and low moments, but we are confident that in all of these things God is at work. I am reminded of the words of Hebrew 13: 5 which says, “Keep your lives free from the love of money and be content with what you have, because God has said, “Never will I leave you; never will I forsake you.” I can say honestly that I had expected to be part of a growing church as a staff member by this stage of life but apparently that was not part of God’s design for us. Instead, I am being repurposed. At this writing, I am about a third of the way through a master’s degree that will allow me to become a licensed professional counselor. I am on target to graduate from Liberty University in the spring of 2019. In the meantime, I am counseling and performing assessments one day a week for The Summit Church in Kernersville as well as maintaining my position at Aflac and working ten hours a week at the Rankin Baptist church in Greensboro as their music director. The work feels rather scattered, but I am grateful for it. Darleen, my rock, and faithful sweetheart continues to work as a customer service representative for Texwipe in Kernersville. As most of you know, her sacrifice and willingness to work full time are what have made my return to school possible. In the midst of her busy work life, she finds time to make hats for everyone and his brother’s cousin. In addition, she also finds crafty ways to bless our grandchildren and various other friends who make requests for quality homemade gifts. Darleen has continued her work as a lay counselor at The Summit Church. She has, in the opinion of the counseling pastor, become one of the most effective counselors in the lay counseling program. Needless to say, I am very proud of her and her accomplishments. Jonathan continues to make his way through the educational landscape of college. He is doing well as a Computer science major at UNCG in Greensboro. Like me, his graduation will take place in the spring of 2019. Needless to say, we are already planning a huge celebration. He currently works at the Union Cross Park for the Forsythe County Parks and Recreation Department. However, his desire is to find interim work in a company that will allow him to gain experience as an IT professional. Candace is living near Ben and Amanda in Reading, Pennsylvania. She is working for Target as a beauty consultant. The position was created especially for her. She is told that the sales in that department have increased a great deal since she took over. That isn’t surprising since she is knowledgeable regarding beauty products and adept at sales. This weekend she took a step towards autonomy by moving to her own apartment. Daniel and Sonya live in Northern Ireland with two of our beautiful granddaughters. Dan is close to completing his internship as a baker. Please pray that God will open the opportunity for him to be full time at the bakery where he works. Pray also that God would provide opportunities for ministry for he and Sonya. In the meantime, God has blessed Sonya with work in the medical community. Arianna is four and Maya is 1 ½. They both keep their parents on their toes. From time to time we are blessed to be able to send packages to them through Darleen’s boss who goes to Ireland twice a year. That has been such a blessing. Ben and Amanda are preparing to add grandchild number ten to the growing ranks of the Bacon Nation. Aaron is due to be born sometime between now and January 8th. Noah has begun Kindergarten and loves it. Caleb began preschool this year as well. Both boys are flourishing in their new educational environments. Ben is continuing his work as a behavioral analyst for a school that serves high functioning autistic children. As of this fall, he is also being loaned out by his school to other schools who have autistic children and are in need of training. The ever-industrious Amanda has started a company of her own called “Fairytale Journeys.” She is, in effect, a travel agent for Disney. So, if you are planning a trip to the Magic Kingdom, be sure to drop her a line. Carolyn and Cameron are busy working and raising two children of their own. Carolyn works as a customer service representative for Dedon, a high-end furniture company. Recently she has been promoted and is periodically traveling for the company. Cameron, the ever steady, continues to work in the seed company that was started by his stepfather. The company has sold, but Cam still supervises and is in charge of ordering and all sorts of other things. Hayden has grown so much that he is no longer the little boy that we once knew. He is in the 5th grade and doing well in school. Chloe, our little spark plug continues to entertain us with her toddler sense of humor and antics. There is never a dull moment with her around. Grammy and I enjoy the weekly visits from Hayden and the occasional opportunities to watch them both overnight. Mark and Christie are doing well in the frozen tundra of Vermont. They moved into a house of their own this last year. Mark has been busy fixing and learning the fine art of being a homeowner. He is now firmly entrenched at Cabot creamery as the guy who makes the yogurt. So, support the family and buy a little Cabot Cheese. Mark has also gone back to school to finish his bachelors degree. Christie is going 100 miles an hour as usual. I think she may be like her mother in this way. She works in the office for Union Baptist Church. I am told that she is an integral part of the office staff. She also still homeschools her children which is a full-time job all on its own. Evelyn is in 2nd grade, Miles in Kindergarten and Elyanah keeps mom busy on the side. We hope your festivities this Christmas are memorable and sweet and your New Year is filled with much more good than bad in 2018. We wish we could spend the holidays with each one of you! The other night while lying in bed my husband and I were talking about the upcoming birthday of our son, Dan. We haven’t seen Dan for 4 1/2 years because he is living in Northern Ireland with his family. But each year around the holidays and his birthday we often reminisce. Dan was our fourth child and 2nd boy. He was my biggest baby, but quickly settled into being the tiniest of little guys…at least till he hit his growth spurt sometime around his twelfth year. Dan was such fun as a little guy. He was full of vim and vigor and was such a happy baby. One morning shortly before our fifth was born, Dan had crawled into bed with my husband and I and we took turns tickling him and making him squeal. I remember that morning so vividly because we wondered aloud how we could every love another baby as much as we did Dan. We knew we could because we already loved three others, but sometimes there are those moments when everything seems right in the world and you are just happy. That was one of those moments. As Dan grew older he took on more personality. He was an old soul…loving music from Frank Sinatra’s era. He worked several paper routes for the Caledonian Record while we were in St. Johnsbury, VT, and worked so hard at getting new customers that he won a trip to Disney World with the paper. Dan used to ride his bike all over town. One time I went into a hardware store and the man asked if I was Daniel’s mom because he was so impressed that he had ridden his bike down to buy a rake so he could make money raking people’s lawns. He went through a duct tape stage at one point in his teenagerhood. He ended making wallets and purses and eventually made himself a coat. It was too cool. He went through a duct tape stage at one point in his teenagerhood. He ended making wallets and purses and eventually made himself a coat. It was too cool. Dan sang. A lot. When he was little he would sing so loud in church that people would turn around a smile. He had a joyful heart and it was a joy to hear him sing. Often as I was getting breakfast or school things ready in the morning I would hear him…and know he was awake because the music started. I loved that about mornings. So now as he turns another year older very far away from us…I am thankful for the years we had with him. He was a good boy and he became a good man, husband and father. Happy birthday, Dan.